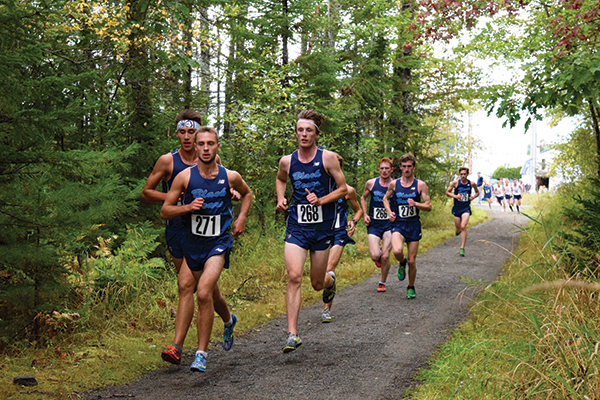 The men’s cross country team defeated the University of New Hampshire (UNH), taking the top four places, dominating the race on Friday, Sept. 23 at home. The women’s team fell to UNH, but third-year Kaitlin Saulter took second place for the Black Bears. 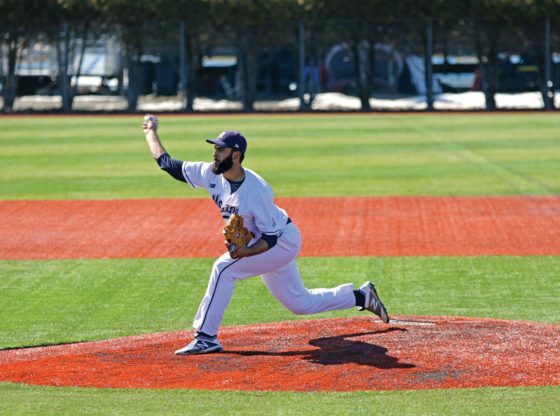 Fourth-year redshirt Jesse Orach came in first for a third time this season. His winning time for the 8k race was 25:16.3, a full 16 seconds in front of the next runner. “This was my last home meet so I wanted to do well in it, make it something to remember. I’m pretty happy with how it went,” Orach said. Following Orach was third-year Jacob Johns, with a time of 25:32.5, with second-year Aaron Willingham finishing right behind him at 25:35.6. Finishing up the top four sports for the Black Bears was fourth-year Levi Frye, with a time of 25:41.0. The Maine runners started off the race in a pack, well in front of the UNH athletes and although the pack gradually separated, Maine managed to place seven runners in the top 10. The first runner for UNH, third-year Timothy Kenefick, came in fifth with a time of 25:50.1. He was closely followed by Maine’s second-year Simon Powhida, with a time of 25:50.9. Finishing up the Maine runners in the top 10 were second-year Joshua Horne and fourth-year Justin Tracy in seventh and eighth. Horne came in at 25:56.4, while Tracy came in about a second later at 25:57.5. UNH’s next runners were second-year Brett Hoerner with a time of 26:05.1 and fourth-year Mitchell Dutton, with a time of 26:05.4. In a meet that has been going on for years, Maine took the victory for a second year in a row. The final score was 16-47 in Maine’s favor. 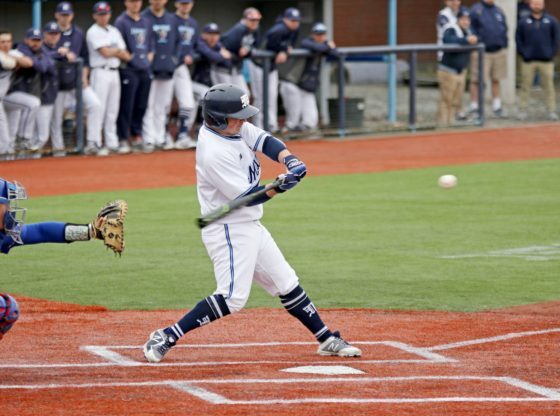 “You can only run fast when you need to run fast and today they didn’t really need to run fast,” Maine Head Coach Mark Lech said. On the women’s side, the Black Bears fell to UNH 22-39. Fourth-year Alexandra Giese won the meet for UNH with a time of 18:43.0 on the 5k course. Saulter came in first for Maine, second overall, with a time of 18:49.2. “I went in and just tried to get into the race and say ok I don’t feel my legs, I’m going to stay with this person and that’s what I did,” Saulter said. Third-year Julia Shorter came in next for UNH with a time of 18:51.0, closely followed by Maine’s second-year Haley Lawrence with a time of 18:52.9. The rest of the finishers in the top 10 were Wildcats. First-year Isobel Kelly and fourth-year Cassandra Kruse came in fifth and sixth with times of 18:54.7 and 19:08.5, respectively. “We are happy with the way the ladies ran. I feel like we did a good job competing for the entire course and the entire distance,” UNH women’s Head Coach Robert Hoppler said. Although Maine didn’t win the meet, they had some improved times and personal bests. Maine will compete next at the New England Championships at Franklin Park in Boston on Oct. 8. The start time is 12 p.m. UNH’s next meet will also be the New England Championships, giving both teams another chance to compete against each other along with other New England teams.